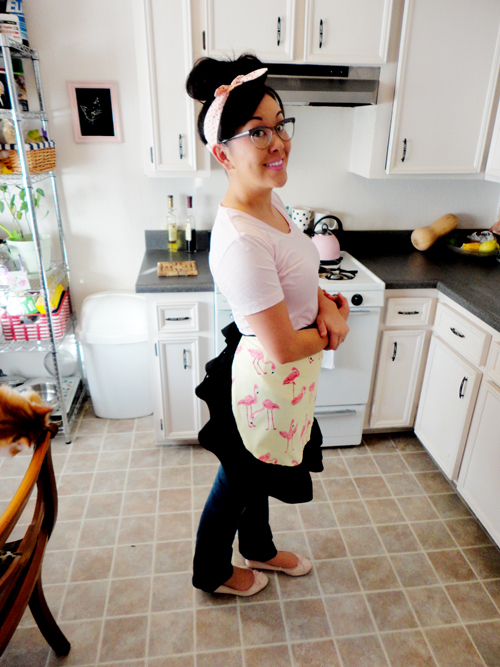 I decided to say "thank you" with this flamingo apron. 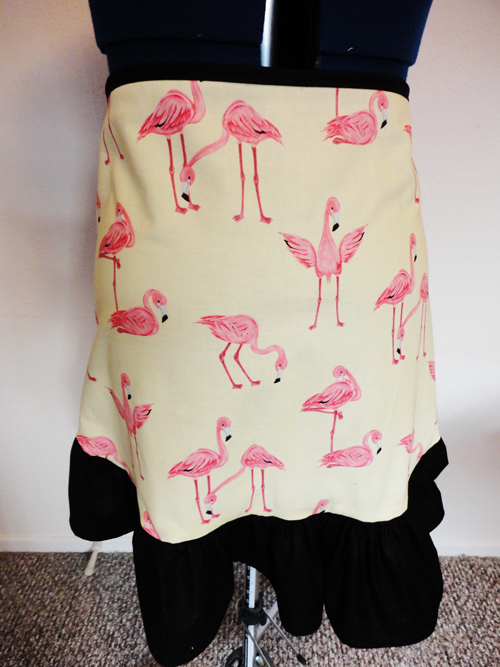 When I saw the fabric I immediately thought of Sarahfae because flamingos are her thing! 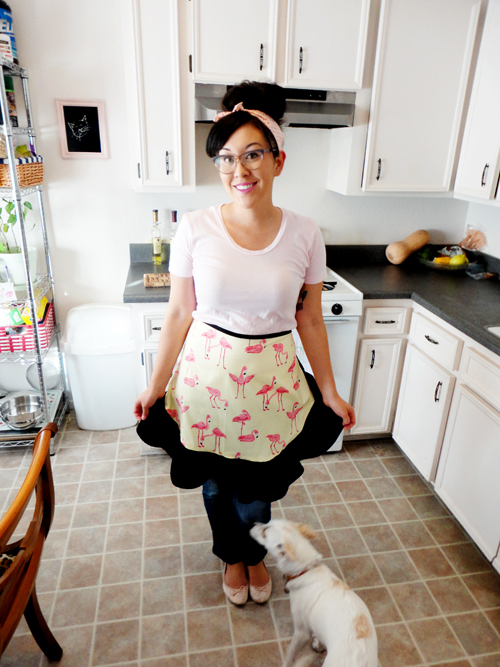 I bought the fabric and made the apron on Monday night. 1. The black along the border of the apron is gathered, but it's hard to see in the photo. 2. Why is Lebron the cat headbutting the chair? 3. Are you jealous of my Lucky Lucille headscarf? Thank you Sarahfae for being a good friend, a talented cook, and a fellow "old soul." I am so lucky to know you! xoxo! The is the cutest apron I've ever seen!! Lebron is definitely showing off for everyone on the world wide web haha! I love seeing your creations and this apron is just too cute, I had to comment. I have no words! Just happy/obnoxious squealing noises! XOXOX So lucky to be your friend! I see Frankie, I see BronBron, but where is Stella?! Is she camera shy? ;) The apron is darling, I like the ruffle! What a sweet gift. Please buy this fabric in every color...because of reasons. SO CUTE! I knew it was going to be this cute, the moment you posted a teaser! It's wonderful!!! HAHAHA at Lebron! God. Cats. Hahahahahahaha. So cute - I love the flamingos! Thanks, Jill. When you come visit later this month I will show you the store I got it at! what a good blogger friend and gift! Adorable! What a great gift! Just the cutest apron, in fact, you've inspired me to make one as a gift for my sister's SIL in France who my visiting daughter (from Australia) will be having Xmas lunch with this year. 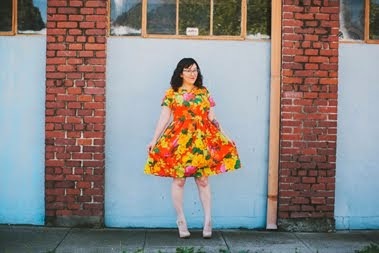 I found the most adorable retro print too, so a ginormous thankyou for posting Miss Crayola.